Roni Avissar, a former Duke University climatologist who has studied the way Amazon deforestation affects precipitation patterns around the world, became dean of the Rosenstiel School of Marine and Atmospheric Science in June 2009. Born and raised in France, Avissar was a professor at Duke's Pratt School of Engineering from 2001 and chair of the Department of Civil and Environmental Engineering for five years until joining UM. During his tenure as chair, he helped increase the department's external funding from less than $1 million to more than $4.2 million, led a strategic planning process, increased the number of female faculty members, and revamped the doctoral program—complishments that led to the department achieving a No. 18 ranking by U.S. News & World Report. 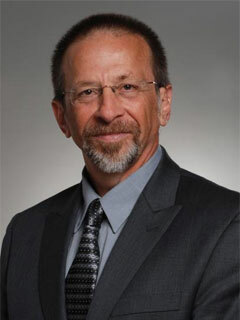 Prior to Duke, Avissar spent 12 years at Rutgers University, including three as chair of the school's Department of Environmental Sciences. Avissar received all his degrees from the Hebrew University of Jerusalem in Israel. In 1980 he received his B.Sc. in Soil and Water Sciences; in 1982, his M.Sc. in micrometeorology studies; and in 1987, his Ph.D. in atmospheric science. Avissar is a Fellow of the American Geophysical Union (AGU), as well as the American Meteorological Society. He was the recipient of the 1998 AGU Robert E. Horton Award, the 1993 Rutgers University - Cook College Research Excellence Award, and an award for outstanding service from the National Research Council in 2002. He was the Editor of the Journal of Geophysical Research – Atmosphere from 1996 until 2001 and has served on and led multiple national and international scientific panels and activities. The research that Avissar conducts is at the interface between science and engineering, typically developing new software and hardware that can be used to provide new insights on fundamental and complex scientific questions. This is best illustrated with the development of the Ocean-Land-Atmosphere Model (OLAM), a state-of-the-art numerical Earth System Model that he uses to investigate and predict the track and intensity of hurricanes (among other meteorological events) as well as various climate processes at multiple spatial and temporal time scales. He also developed the Helicopter Observation Platform (HOP) that he equipped with sophisticated sensors to observe air-sea and land-atmosphere interactions near the Earth's surface. These observations are essential to improve our understanding of the exchanges of heat, momentum and gases (carbon dioxide, moisture, etc.) taking place at the Earth's surface, where we live and where much of the climate “action” is taking place.